Today’s post is short and sweet. Our door headboard has finally cured and together, we hung it in place. I don’t have many pictures of the hanging process because both of us had our hands full! Essentially, we took two 1/x 4’s and attached them to the back of the door, and then screwed them into the studs in our wall. 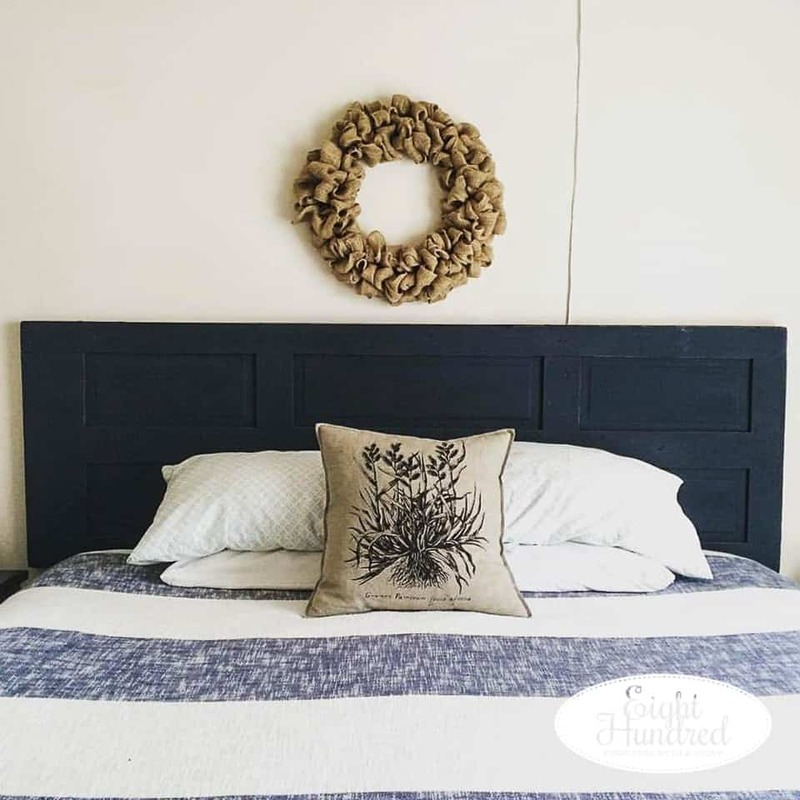 The headboard makes the bed space feel complete and now the wall doesn’t feel so large and plain. Our apartment is like any other standard apartment – tan walls, tan carpet, blah canvas. Whenever one of our rooms transitions from so – so to spectacular, I have a mini dance party. There are more projects that I have in mind for our bedroom. Our dressers and night stands need a makeover. There are a few more special touches I’d like to add. For now, the centerpiece is up and looking fabulous!